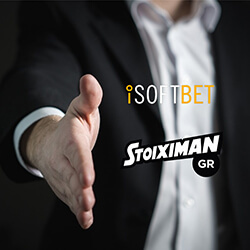 Casino software developer and supplier iSoftBet has recently agreed to a deal to start providing a range of table and slot games to the OPAP-controlled, Greece-based GML Interactive, who operate the Betano and Stoiximan brands. The newly inked deal will see Betano and Stoiximan gain access to iSoftBet’s 150 different games, along with the supplier’s Game Aggregation Platform, which will also provide a further 4000 titles from 46 different suppliers. 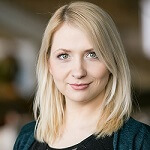 The operator will also be given access to an array of real time gamification and marketing tools as part of the GAP deal, which will include iSoftBet’s In-Game customer engagement innovation software. In-Game will allow operators to use a range of different features, such as leaderboards and jackpots which will be based on points or achievements, along with rewards in the form of cash bonuses or free rounds, which will help in boosting retention rates. The service will be made available on all of iSoftBet’s games as well as all titles on the GAP platform. John Kalamvokis, head of casino at GML Interactive, has stated that iSoftBet is known for producing the best performance games and generating revenue for its customers through its platforms and games, and that they are delighted to be partnering with them in the future. The deal comes not long after the Greek Government submitted a new list of reforms for iGaming in the country, which will ban licensees from offering online slots in the market as a whole.